Why Is Being Focused Important in Life? Why Are Choices, Chances and Changes Important in Life? Why Is Failure an Event and not a Person? What Is the Significance of People in Our Lives? Why Are Headlines Really Important in Advertising? Why You Should Not Complain about Your Problems? Go As Far As You Can See to See Farther! 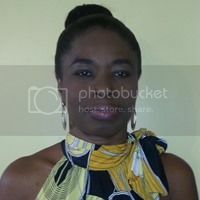 "You don’t have to be great to get started, but you have to get started to be great.” Les Brown. We live in a very competitive business world where being “good” isn’t good enough. You have to be great and be ahead of the competition to be successful. How do you begin this journey from mediocrity to greatness in the business world? 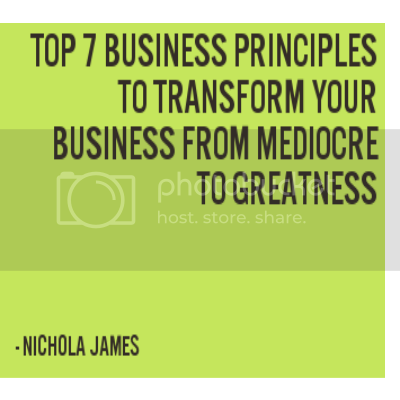 These seven essential principles can help you create greatness within your business. 1. What Are Your Business’s Values? You just don’t sell a product or a service. Your business stands for certain values and these values are what you sell. What are the values that your business stands for? Are these some of your business values: integrity, loyalty, honesty, trustworthiness or transparency? The next question is what are your daily business practices to uphold those values? 2. What Is Your “Why”? What is the reason that your business exists and continues to exist? What is the driving force behind your business? What purpose does your business serve and what difference does your business make in the lives of your customers. Your compelling “why” is what dictates your dedication to your business? It is the life force of your business. It is what will help you to weather the storms in your business. You have to find the areas in your business where you can break the rules and set yourself apart from the rest of the crowd in your industry. You have to be one of the contrarians in the business world to be a change agent. You have to dare to be different. 4. Emulate the Models of Greatness! Within every industry there are models of greatness, emulate those businesses that inspire you the most. What do you need to change within your business to attain the level of greatness that they have? Make the necessary changes and achieve the greatness you desire. 5. Always, Seek the Edge! How can you “take more out of yourself than you’ve got” and accomplish the impossible within your business? Always seek to do more and push the envelope whenever you can. Create I’m possible out of impossible. 6. Always, Have the End Goal in Mind! Great businesses know their destination before they begin their journey. Decide the future of your business and persist until you get there. Have a plan in place so that you know where, when, and how your business will get to its destination. You may have to decide differently along the way to create your desired business outcome. 7. Commit to Personal Greatness! You are your business and your business is you. In order to build a great business, you have to commit to your own personal greatness. We all have our own definition of greatness; however, we have to be able to tap into our greatness and unleash its full potential. Remember that your business is a true reflection of you so choose greatness and let it reflect in your business.